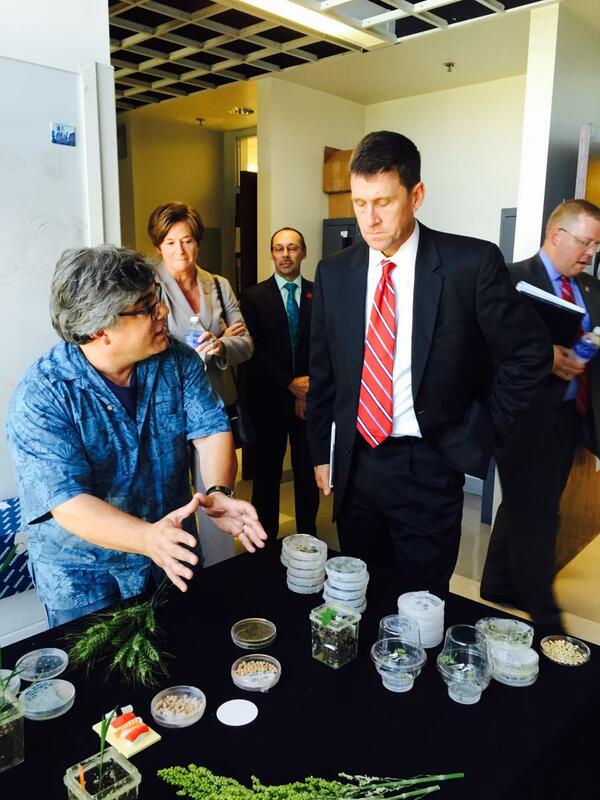 August, 2015 -UNL President Bounds visits Tom's lab. My research interests are in developing tools for functional genomics and implementing genetic engineering for plant germplasm enhancement targeting value added and disease control traits. The laboratory has research programs on soybean, wheat, maize, sorghum, and turf grasses. I serve as the director of the Plant Transformation Core Research Facility (PTCRF) at the University of Nebraska. The PTCRF is a state-of-the-art facility that provides services for vector constructions, plant transformations and characterizations of the derived transformants.